Helios Power has one of the most extensive range of PCB mounting dc/dc converters. We offer a range of Single in Line Package ( SIP ) models, with semi-regulated and fully regulated units from 0.5-6watts. 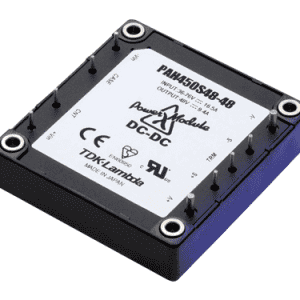 The FDC and FEC 5-60 watt series offer high isolation, wide input and the most extensive mix of dc/dc converters to meet a wide range of telecom, medical and industrial applications. Power modules are higher power 50-700 watts, with high power density, industry standard footprints in full brick, half brick, quarter brick & 1/8 brick. Input options cover the 5V, 12V, 24V, 48V & 110V range with input range of 2:1 or wide range input 4:1 options. Output options 1.8V, 2.5V, 3.3V, 5V, 9V, 12V, 15V, 24V & 48VDC. Our extensive stock range of units allows us to cover small or large OEM projects. 1-watt output power, PCB mounting. Input options: 5V, 12V, 15V & 24vdc. Standard 2.00 x 1.00 x 0.40 inch. Five sided continuous copper shield. Remote ON / OFF (Negative or Positive option). 2:1 & 4:1 wide input range. Industry Standard 2 x 1in package. 4:1 wide Input range option. 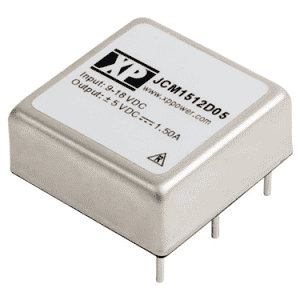 1000 VDC Isolation (Optional 3000 VDC). 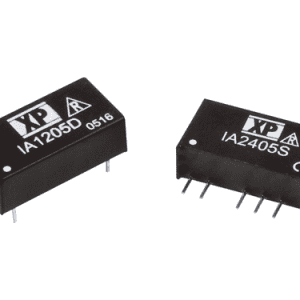 Optional 4000 & 6000 VDC Isolation. -40 °C to +85 °C Operation. High Efficiency – up to 89%. Operating Temperature -40 °C to +100 °C. 2:1 Input range 12V, 24V and 48V. EN55022 class A without external components. Wide Adjustable Output Range 3.3V ~ 48V. Opto Isolated Remote On / Off. Full power at 85ºC base plate. Parallel operation with power sharing. Small size and low profile: 0.86 x 0.36 x 0.44-inch. High Efficiency up to 91%. 3 Pin SIP 3T Switching Regulator.